The global Facility Management community is expanding and growing faster than at any time in its history. The geographic barriers are down as FM companies are working across the USA, but also in the fast-growing emerging markets of South America, the Middle and Far East, India and China. So as a community we must ask ourselves the following key questions:’What’ is FM in this brave new world? ‘Where’ do our services take place? And ‘how’ will we deliver FM? In other words, how will the FM of tomorrow differ from the FM we know today and from the FM we used to know? And what does this mean for us as FM professionals? 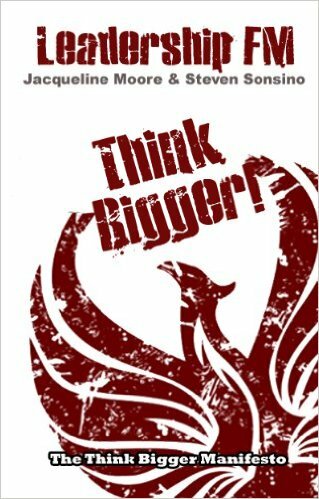 In this challenging and provocative manifesto, business journalist Jacqueline Moore and business school professor Steven Sonsino ask you to ‘Think Bigger’. And they pose a critical question: ‘how can you constantly reinvent your leadership so that you remain future-proof? How can you remain relevant and cutting edge even while you are evolving?’ These questions face everyone who serves as a senior executive in the global FM community. Whether you’re in a global multinational or whether you lead a small family businesses. And there are other questions, too: First, what does FM leadership look like in the new FM world? What impact does globalisation have on you as you lead your firm, wherever you’re based and however large or small your business? And secondly how do you keep reinventing yourself as a leader as the global FM community evolves further? How does your evolving profession influence your evolving leadership skills and style? This ground-breaking manifesto, inspired by practising Facility Managers and leading experts around the world, suggests that FM and FM leaders are in a race without a finish line. Are you in the race or are you just a spectator? And how much change are you personally willing to embrace?